Claddagh Coldbrew products are available for home and office delivery, coffee shops, restaurants, pubs, stores and local farmer's markets. Please contact us to find Claddagh Coldbrew near you or if you want our products in your establishment. 2018 market season is now finished for us. Thanks to all who helped make it a great year for Farmers Markets. Remember to check this page frequently to see where you can find us. Contact us about specific events that we are involved with. 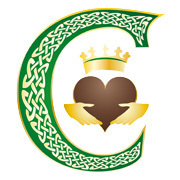 We are working hard to get Claddagh products in your favorite places. Feel free to help us in this by telling them about us.